I will start with the easiest of the reports regions to write about. Europe, North America and Africa are continuing their quiet period with no reports of any activity from these regions. This week saw a strong eruption from Zhupansovsky on the 12th of February, with Volcano Discovery reporting a plume sent up to 34,000 feet. And Finally on the Kamcatcha Peninsula, we have Sheveluch which threw a plume into the sky up to 15,000 feet on the 12th of February. Sinabung keeps producing its now familiar pattern of ash plumes and pyroclastic flows. Over inside the Tengger Caldera, the Darwin VAAC reports that Bromo is continuing to emit ash plumes up to 10,000 feet. 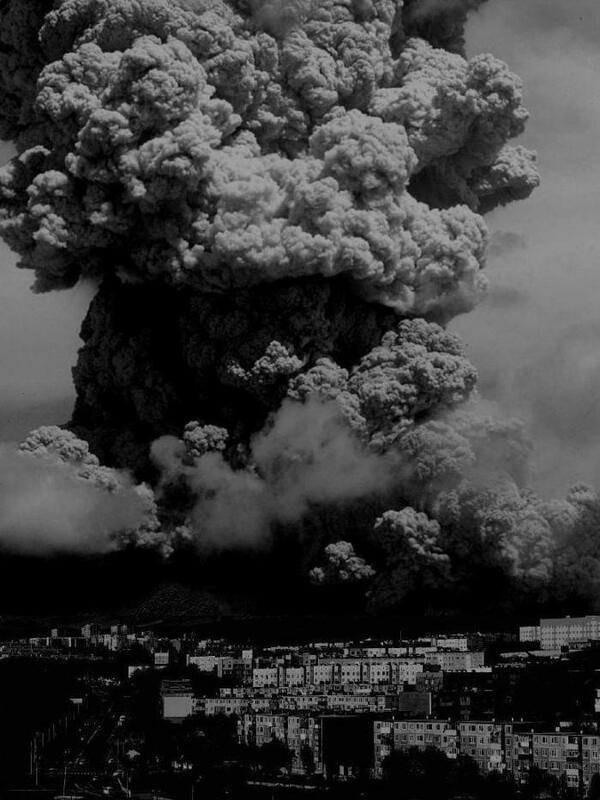 In Japan, Sakurajima continues to produce small explosive eruptions with the Sakurajima Eruptions Twitter feed reporting that volcano has its “15th (eruption) of the year” on the 17th. Mexico’s Colima and Popocatepetl volcanoes continue as they have over the last few weeks, small explosions throwing plumes into the sky virtually every day. In Guatemala, Washington VAAC reports that Santa Maria is continuing to produce plumes up to 15,000 feet with activity reported on most of the days of last week. Only a couple of reports from South America with the Washington VAAC and the Buenos Aires VAAC reporting activity at Reventador and Sabancaya respectivley. Both reports state that plume was visible on webcam on the 15th for Reventador and the 13th and 15th for Sabancanya, but at the time of writing I was unable to find images from the dates in question. At Copahue, the Buenos Aires reports a continuos emission of gases and steam and the occasional burst of volcanic ash. This concludes my round up of the activity of the last weeks activity, did I miss anything?? Jokes aside, great post, again. Wow, I’m not sure what amazes me the most: the great stupidity, or the awesomeness of those photos. Run this past me once again, please. Why do I get the impression that this clearly intellectually challenged individual is lauded as a hero for his stupidity. The part I liked was the article link there that pointed to a girl beating the @#$@ out of some guy at school. Dunno what caused it, but it’s pretty obvious that she is not taking @#$@ off of anyone. Good on her. Violence may not solve anything, but it does prove a point. From the looks of things-she could handle herself. No matter what the legality of it is, if you are attacked, an overwhelming response will tend to make the attacker reconsider the action next time. A gaming clan-mate of mine has the following signature line. Hobbes, thanks again for the weekly summary which clearly takes lots of hard work and time. Regarding surfing on volcanoes, I note our experience with this subject. A couple of years ago we stayed in a hostel in Leon, Nicaragua. The hostel and clients were pleasant and generally well behaved. Leon is very hot and humid and the hostel had a swimming pool. A bunch of gringos from el Norte started jumping in to the pool, not allowed, causing a minor disruption. They were talking, loudly, about a young Swedish girl who had broken a leg during a surfing session and then about another person who was injured during volcano surfing. I have a tendency to just start talking to people met during our travels and there was a young man having coffee who appeared to have a broken arm and his face was deeply scratched with embedded, fine volcanic ash. He explained how he was injured and how dangerous the sport was using these crude improvised boards provided by the “sporting center”. The boards were essentially uncontrollable and they went down the very steep slope IN THE DARK. He just kept shaking his head and muttering, I could have broken my neck, I could have broken my neck. Well it would seem that his testosterone high was soon replaced by an adrenaline rush and finally a spurt of a lesson well learned. He was lucky to survive. The Daily Fail story take the insanity one magnitude higher. An application of Lurking’s ‘Homo Stultus’ phenomenon; the inability to comprehend that while fine volcanic ash may LOOK like dirty snow, its properties are rather different – especially when human flesh impacts it at high speed. And from a humor point of view, if it maintains that level of plume for 7.8 days, it will be in the VEI-2 range. In 21,352 years it would enter VEI 8 territory. Magnus Magnusson: Recently Aso volcano erupted at 1.49 m³/s DRE rate. For how long would it have to maintain this rate of eruption if it was to reach VEI 8? 365.2422 days, to be precise. Leap seconds happen every 2 year or so but don’t affect either the length of the year or the lengths of the second so can be ignored. @ Hobbes – sorry forgot to mention the source. It was Tokyo VAAC. Anyway, I really enjoy being up to date for once thanks to your list – thank you for all the effort! Like little tidbits of information like that. More deep activity in Bárðarbunga this morning. Is that a dike intrusion extending towards Tungnafellsjökull? And a couple of dead zone quakes.Veiðivötn? Interesting, given the current activity. I was wondering which volcanoes are capable of doing a big supervolcano eruptions. I am studying it, and except for yellowstone, it isn’t easy to find information about it on the internet (because everyone exaggerates it, or you can’t simply find correct information. For a VEI 8-eruption: i only know Tondano, Toba, Taupo and Yellowstone are capable of produce such an eruption. Maybe there are others, but i don’t know them. For a VEI 7-eruption, i have this. Laacher See (not sure about this, is also pretty hyped, read something about people that suggested it was actually a VEI 6 (something like Vesuvius. This volcano is also non-active. I miss probably a lot of volcanoes in Mexico, Nicaragua, Africa, China (? ), and Papua-New Guinea/Indonesia. Do others have some volcanoes that are capable of a great eruption, but are not in the list? Long Valley Caldera and Atitlan are still active and have produced VEI-8 eruptions, but that would pretty much it. Volcanoes that have had recent large eruptions are unlikely to produce something big now. And a very large eruption in the distant past makes a recurrence also less likely: Toba, Yellowstone, have activity but no indication of any impending VEI7. You need dormancy of 500 years, up to a few thousand years (others will disagree with the exact numbers). In the US, that is the case for the Southern Sister (Oregon), Adams, Newberry and Medicine Lake (California). However, predicting how large an eruption may be from these is difficult: for instance, Newberry is less likely to produce a major eruption. In your list, Taupo may be possible. The ones to be aware off are the one you didn’t know were volcanic. What about Chacana as possible 1809 missing link (if it is not Reventador in Ecuador). Could something be missed? Thanks Hobbes. I really like the updates. I see there has been a 2.9 at only 600m deep at Bardabunga in the last hour. Part II in our Olympus Mons series is now up! There has been a 5.1 earthquake in the Sea of Alboran today and Spain is getting twitchy that no-one is monitoring the volcanic island nearby that is off the coast of Algeria. Well, they can get twitchy all they want. Just send Nemesio Perez. The problem is not the volcanism, the problem is the earthquakes. If that little hillock suffers a mass waste in the middle of Homo Stultus Beach Week of Ibiza (this Lurking is about as bizar as Spring Break) a lot of people would die. I’m heading there in June! You could have been going to St Tropez during the Swedish Week. It has been called “Europes Largest Natural Catastrophy” by the French Gendarmerie. I’m not familiar with the island… but I have witnessed the all too familiar beach festivities in Palma de Mallorca. The biggest issue we have had of late in Panama City, are the ones who get tangled up on the hotels while doing towed paragliding. It’s such an issue, that the State of Florida has enacted new safety regulations for the activity. Can’t have the errant Sultii dangling by shroud lines off the side of a hotel ya know. Bikinis are not suitable safety gear. Personally, I really detest the traffic of Spring Break. However, I did get to sit stuck in traffic down on Hwy 98 behind a convertible full of a group of college age girls on the way to the beach. They were having a horrible time of it. The traffic had come to a standstill in the aromatic plume of a ruptured septic line somewhere upwind. They were NOT having a good day of it… provided that they were not too drunk to notice. They claimed that it was part of their Youth Outreach program. To me, it seemed more like a bottle club type of organization. In standard bottle clubs, you deposit your previously purchased liquor with the bartender and when you want a drink, you buy the set-up for your drink, using the alcohol from your bottle. That avoids the legally mandated last call for liquor sales. The one I used to frequent typically closed around daybreak. The cool bit is when you meet a girl who is in need of a drink and she asks if she can have one made from your bottle.